Whereas: As we commemorate the anniversary of the Belarus Democratic Republic, we remember with sadness the continuing devastation of the Chernobyl nuclear disaster. 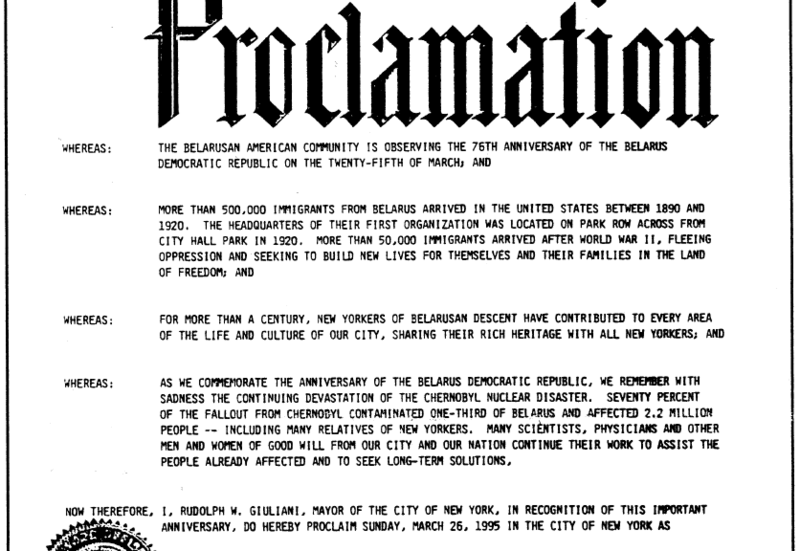 Seventy percent of the fallout from Chernobyl contaminated one-third of Belarus and affected 2.2 million people — including many relatives of New Yorkers. Many scientists, physicians and other men and women of good will from our city and our nation continue their work to assist the people already affected and to seek long-term solutions. 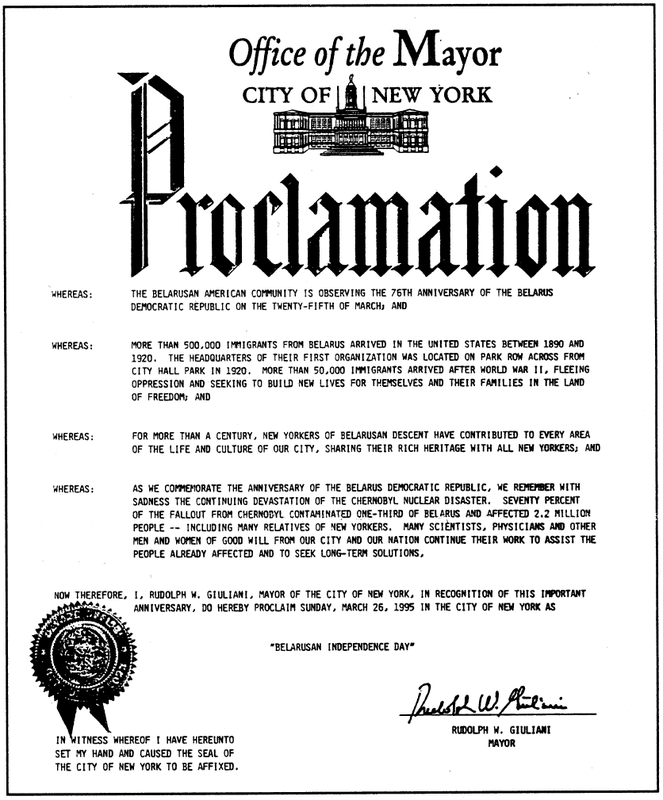 Now therefore, I, Rudolph W. Giuliani, Mayor of the City of New York, in recognition of this important anniversary, do hereby proclaim Sunday, March 26, 1995, in the City of New York as BELARUSIAN INDEPENDENCE DAY.